CHICAGO (AP) — A defense expert in the trial of a white police officer charged with murder in the death of Laquan McDonald on Monday criticized the official autopsy results in testimony that seemed to contradict what video of the 2014 shooting shows. Forensic pathologist Shaku Teas testified that she believes at least 12 of the 16 shots fired by Officer Jason Van Dyke on Oct. 20, 2014, hit McDonald before the 17-year-old was on the ground. Prosecutors told the jury last week that the video shows McDonald hitting the ground less than two seconds after the first shot was fired. Twelve more seconds of gunfire then follows, they said. Under intense questioning by prosecutors, Teas seemed to contradict her own testimony, saying she had no opinion on whether five of the shots hit the teen before he fell. She then stated that she didn’t know how many shots hit McDonald before he fell. Earlier, Teas had criticized the work of Dr. Ponni Arunkumar, Cook County’s chief medical examiner, who testified last week that it was impossible to determine the exact order of McDonald’s wounds. Teas said she believes a wound to McDonald’s neck was the result of the first or second shot and was fired when he was still standing. Teas said she believes the fourth shot hit McDonald’s right chest and “caused him to die rapidly.” She said the wound was consistent with McDonald being turned toward the officer when at the time, and that the bullet inflicted such massive injuries that she believes that the teen was dead within five minutes. Squad car video shows Van Dyke opened fire as McDonald veered away from police with a small knife in his hand. Van Dyke’s attorneys have argued that he was afraid for his life and acted according to his training. Prosecutors have stressed that no other officers who encountered McDonald opened fire. Prosecutors rested their case Thursday. Later Monday, Van Dyke’s attorneys turned to another key component of their strategy: McDonald himself. They called witnesses to testify about the teen’s history of violent behavior. Miguel DeJsuus, who works at the Cook County Juvenile Detention Center, told jurors of an incident in which McDonald told him he was on drugs before striking him. Joseph Plaud of the Cook County’s Sheriff’s Department testified about seeing McDonald “yelling, screaming, swearing” while he was in the juvenile court lock-up a little more than a year before the shooting. But both witnesses along with another man who worked in the lockup acknowledged that they never spoke to Van Dyke about McDonald before the shooting — admissions designed to tell the jury that Van Dyke knew nothing about the teen’s past when he shot him. A big question remaining for the trial is whether Van Dyke will testify. He isn’t obligated to testify, but he has the right to take the stand to give his version of what happened. Another question is which — if any — other officers at the scene the defense will call to testify. 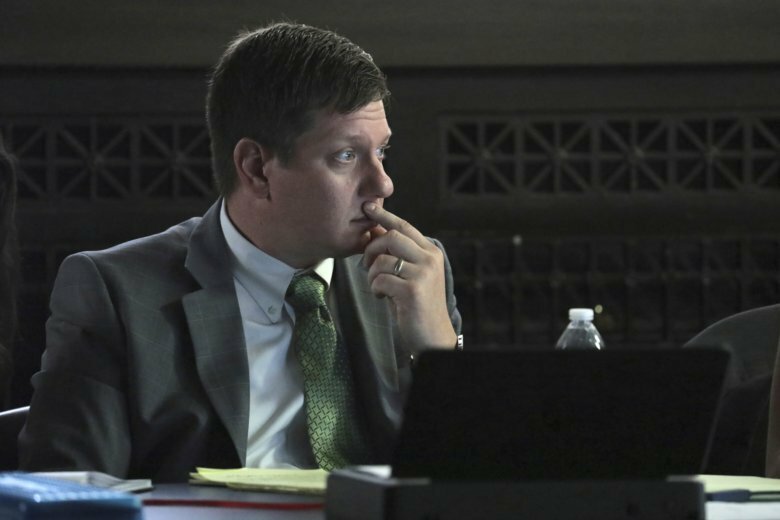 Prosecutors called several last week, but others, including two charged with trying to cover up what happened to protect Van Dyke, have not testified. This story has been corrected to show that the forensic pathologist testified on the defense’s behalf on Monday, not Wednesday.